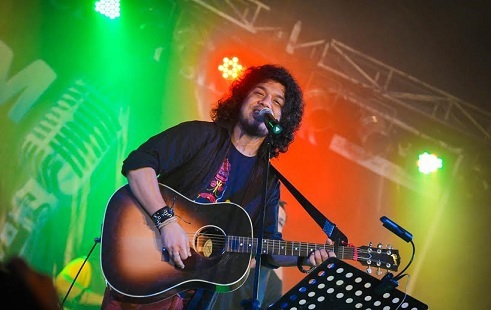 Popular singer Papon Angarag Mahanta has composed a rock song for multilingual film III Smoking Barrels. He has rendered his voice also in Hindi and Assamese version of the song. The rock and contemporary Bollywood style song has been sung in the amazing vocals of Papon – Yeh Tishnagi in Hindi and Uttorbihin in Assamese. The film is directed by Sanjib Dey and the film will be released on September 21. The lyricist of Yeh Tishnagi is Vaibhav Modi and that of Uttorbihin is Rejdweep. “I hope the audiences find a connect to both the versions and equally love the song,” he added. “III Smoking Barrels” intertwines three issues surrounding Northeast India — children involved in armed conflicts, drug addiction and abuse, and animal poaching and the necessity of wildlife conservation. The film is produced by Amit Malpani. The starcast includes Indraneil Sengupta, Subrat Dutta, Shiny Gogoi, Siddharth Boro, Mandakini Goswami and Amrita Chattopadhyay among others.